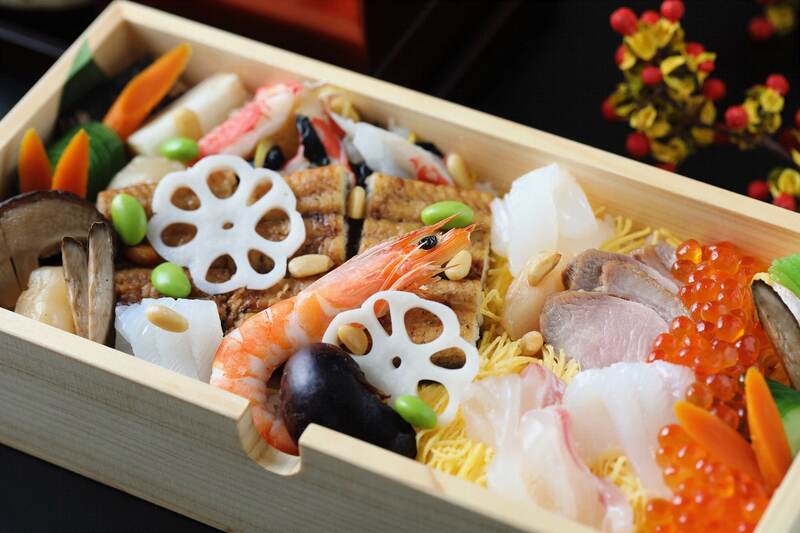 Kagura is a new restaurant opening at the Togo Kinenkan wedding complex in Harajuku for a limited time from November 19 to 30. The restaurant originally for the Hanami seaosn back in spring and it’s set to return again to serve an exquisite autumnal lunch. 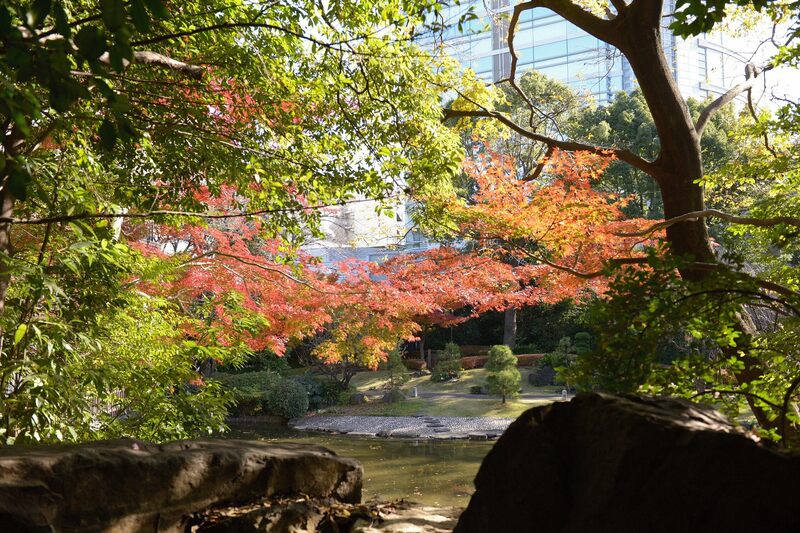 You’ll find it just a 5-minute walk from Harajuku Station enveloped in a 33,000m² expanse of greenery that promises a relaxing and refined time spent. The restaurant has table seats that look out onto an authentic Japanese style garden as well as a new spacious terrace area. The garden, which encompasses one’s entire vision out the window, will make you forget you’re in the busy district of Harajuku. One can expect top-class service as expected of a wedding hall that breathes Japanese culture and tradition. Food can also be served in a bento box. Meals are prepared with high quality ingredients including beef fillet served during wedding ceremonies. 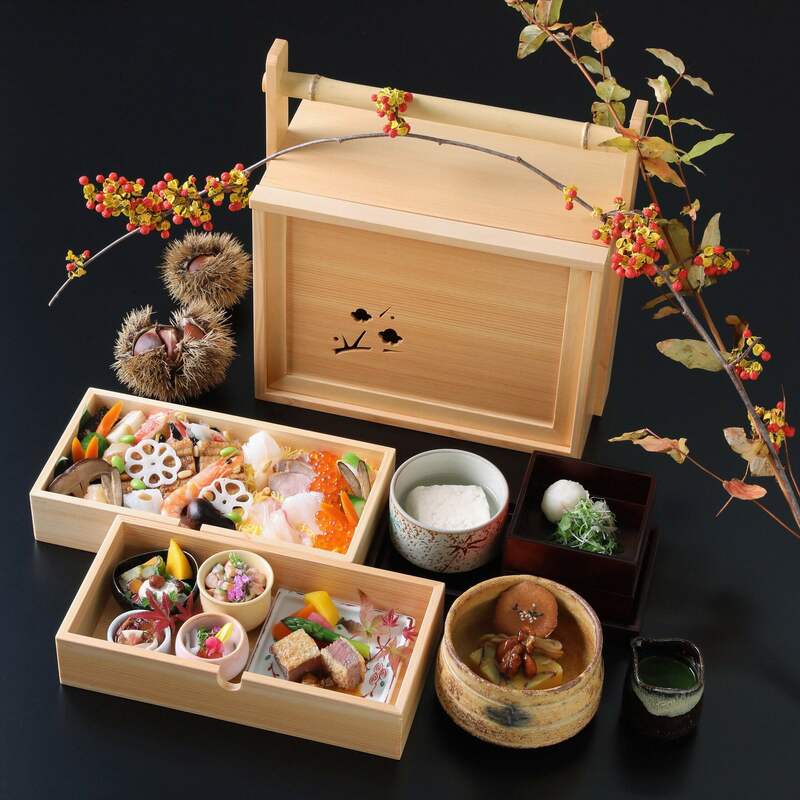 The first bento box drawer is an hors d’oeuvre with seasonal vegetables and beef fillet cutlet. The second drawer is full of colour, packed with seafood and mountain vegetables. To wrap up your lunch you can enjoy a chestnut mont blanc specially prepared by the restaurant’s pastry chef together with sweet potato. If you’d like to enjoy a little luxury while in Harajuku then head to Kagura for some sophisticated dining and a breathtaking view. *Only 20 served per day. Additional optional drinks available.